A bilingual sequence translated by Carolyne Wright with the author. In 2008, Seattle-based poet Eugenia Toledo revisited her native Chile to reconnect with places and people from her past. With poet and translator Carolyne Wright, Toledo traveled the length of the country—from Santiago to La Serena in the North and to her native Temuco in the South; from the Valle de Elquí in the foothills of the Andes, to the Pacific coast towns of Santo Domingo and the legendary Isla Negra. Toledo and Wright gave readings and workshops, visited literary sites (Pablo Neruda’s houses in Santiago and Isla Negra; Gabriela Mistral’s homes, schools, and memorial in Vicuña and Monte Grande; Jorge Teillier’s childhood home in Lautaro, exhibitions of art and poetry by Violeta Parra; and exhibitions of poetry by Mapuche writers), and met with Chilean poets and writers in Santiago, Temuco, Valdivia, and Lautaro. Toledo’s reconnections with family members and long-lost friends were profound and wrenching. There were fellow university students and teachers who had been exiled for years after the 1973 military coup, and others imprisoned and tortured during the military regime of Augusto Pinochet. Some colleagues bore sad news of other friends killed or disappeared during the worst days of the dictatorship. Above all, the visit was a poet’s journey of return to Chile, to the land of her origins. Throughout the journey, Toledo was writing—notes, dreams, memories, and poems. “Stimulated by this visit,” Toledo wrote, “I embraced the adventure, giving structure to Trazas de mapa, trazas de sangre /Map Traces, Blood Traces in a journey of thoughts, people, times, and geographies.” These “errant memories” finally meet and interact with present realities, confront and exorcize the map of the poet’s life, and interweave the events of her present with those of her past, in the locales in which those past realities took place. These poems form a “cruise of words, a train of closeness” that trace and transmit the “magic yet very real contours of the land, water, and air” of her beloved country. Eugenia Toledo was born in Temuco, Chile, and grew up in the same neighborhood as Pablo Neruda. She completed higher degrees in Spanish, and came to the U.S. for doctoral studies after her university instructorship was terminated following the 1973 military coup. She received an M.A. in Latin American Literature and a Ph.D. in Spanish Literature from the University of Washington, and settled in Seattle to teach and write. She has published several texts and manuals for adult education in Chile; a study of the Spanish writer Fray Luis de León; three books of poetry in Spanish, Arquitectura de ausencias (Architecture of Absences), Editorial Torremozas, España; Tempo de metales y volcanes (Time of Metals and Volcanoes), Editorial 400 Elefantes, Nicaragua; the new Casa de Máquinas (House of Machines), 400 Elefantes; and a chapbook, Leaf of Glass, which won an Artella contest. At Seattle’s Richard Hugo House, Toledo has taught poetry writing in Spanish, and with Carolyne Wright, team-taught a course on Pablo Neruda. 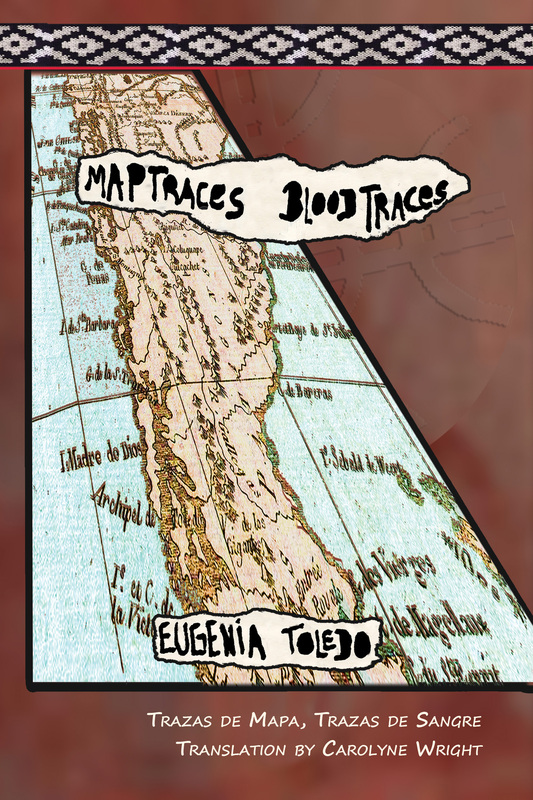 A bilingual manuscript of poems, Trazas de mapa, trazas de sangre / Map Traces, Blood Traces, was written after Toledo’s travels in Chile in 2008 with Carolyne Wright—a journey of return and re-encounters with the friends and experiences of her youth. Poems from this manuscript, in translation by Carolyne Wright, have appeared in basalt, Cirque, Hayden’s Ferry Review, Inventory, Los Angeles Review, New Letters, Palabra, Poetry International, Rio Grande Review, ZYZZYVA, and the chapbook, La luz ambarina de la lluvia: Letras de Temuko / The Rain’s Amber Light: Letters from Temuco. With her husband, Toledo divides her time between Temuco and Seattle. Carolyne Wright’s latest book is the ground-breaking anthology on women and work, Raising Lilly Ledbetter: Women Poets Occupy the Workspace (2015), which was co-edited by Wright, Toledo, and M. L. Lyons and published in Lost Horse Press’s Human Rights Series. Her nine books and chapbooks of poetry include Seasons of Mangoes and Brainfire (Eastern Washington UP / Lynx House Books), which won the Blue Lynx Prize and American Book Award; A Change of Maps (Lost Horse Pres), finalist for the Idaho Prize and the Alice Fay di Castagnola Award from the Poetry Society of America, and winner of the 2007 IPPY Bronze Award in Poetry; and Mania Klepto: the Book of Eulene (Turning Point Books). Also published are a collection of essays and four earlier volumes of poetry translated from Spanish and Bengali. A Seattle native who studied with Elizabeth Bishop and Richard Hugo, Wright spent a year in Chile on a Fulbright-Hayes Study Grant during the presidency of Salvador Allende, and is completing a memoir about this experience. Sponsored by a grant from Washington State / Chile Partners of the Americas, she returned to Chile in late 2008, giving readings and workshops with Eugenia Toledo. Wright ‘s translations of Chilean poet Jorge Teillier, In Order to Talk with the Dead (U of Texas Press), won the National Translation Award from ALTA. A poem of hers appeared in The Best American Poetry 2009 and the Pushcart Prize XXXIV: Best of the Small Presses (2010). She is a Contributing Editor for the Pushcart Prizes; and a Senior Editor for Lost Horse Press.